Coaches! Do you need more clients? Want greater Influence? Free Webinar to all ICCA Members! Just $20 with 2 CE credits! Featuring Corey Allan, Ph.D. & Dwight Bain, M.A. Again, we are hosting this Webinar completely free of charge to all ICCA members, but there are only 1,000 spots available. Register now or call 1-800-526-8673 to take advantage of this incredible learning opportunity. Reserve your space now, while you still can! We love being a part of your life. P.S. – Register below to reserve your spot and don’t miss out on the continuing education opportunity! Stay Current: Learn from and interactwith world-class coaching experts! Earn Continuing Education: Earn 2 CEs from the comfort of your home or office! 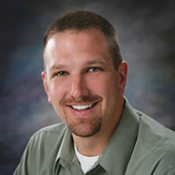 Corey Allan, Ph.D., is a Licensed Marriage and Family Therapist and a Licensed Professional Counselor in Texas. In 2008, Corey began Simple Marriage, a blog that focuses on assisting couples in experiencing more in marriage and life. To date, Simple Marriage has grown to be one of the largest marriage and relationship focused blogs on the Internet. Corey received his Doctorate in Family Therapy from Texas Woman’s University in 2006 and his Masters in Professional Counseling from the University of North Texas in 2002. 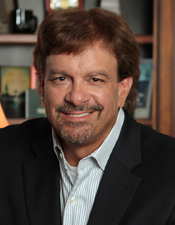 In private practice, he specializes in working with marriages and couples. He has been married to his wife Pam for 19 years and together, they have two children. 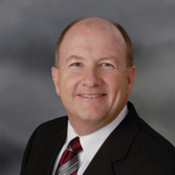 Dwight Bain, M.A., is a pioneer in Christian coaching with more than 25 years’ experience. He is a Certified Life Coach who has worked with executives, pro athletes and business owners facing complex situations that required managing massive change. Dwight is a best-selling author, media personality and communicator who has worked with corporations like Disney, Toyota and Bank of America, as well as organizations like Florida Hospital, the American Heart Association and the U.S. Army. He currently serves as the executive director of ICCA, the leader in Christian coaching with more than 6,000 members worldwide. Stay Connected with fellow Christian Coaches through ICCA! The International Christian Coaching Association (ICCA) is the largest membership organization of Christian coaches in the world. ICCA is open to all coaches, counselors, pastors, chaplains and lay counseling ministry leaders who want to learn and accomplish more as a Christian Life Coach. This entry was posted in Webinar and tagged Blogging for Christian Coaches, business, business coaching, business success, Christian Coach, Christian Coach Blog, Christian Coaching, coaching leaders, coaching strategy, Coaching techniques, coaching tools, dwight bain, ICCA, International Christian Coaching Association, Social Media for Christian Coaches, techniques, tools, webinar. Bookmark the permalink.